John, Bishop, Servant of the Servants of God, to perpetual memory. In the field of the Lord over which we, though unworthy, are guardians and laborers by heavenly dispensation, we ought to exercise spiritual care so watchfully and prudently that if an enemy should ever sow tares over the seeds of truth (Mt. 13:28), they may be choked at the start before they grow up as weeds of an evil growth. Thus, with the destruction of the evil seed and the uprooting of the thorns of error, the good crop of Catholic truth may take firm root. 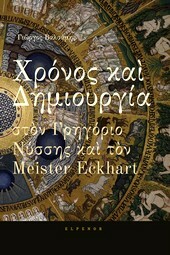 We are indeed sad to report that in these days someone by the name of Eckhart from Germany, a doctor of sacred theology (as is said) and a professor of the order of Preachers, wished to know more than he should, and not in accordance with sobriety and the measure of faith, because he turned his ear from the truth and followed fables. The man was led astray by that Father of Lies who often turns himself into an angel of light in order to replace the light of truth with a dark and gloomy cloud of the senses, and he sowed thorns and obstacles contrary to the very clear truth of faith in the field of the Church and worked to produce harmful thistles and poisonous thornbushes. He presented many things as dogma that were designed to cloud the true faith in the hearts of many, things which he put forth especially before the uneducated crowd in his sermons and that he also admitted into his writings. 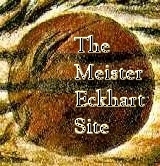 From the inquiry previously made against him concerning these matters on the authority of our Venerable Brother Henry, the Archbishop of Cologne, and at last renewed on our authority in the Roman curia, we have discovered, as is evident from the same Eckhart's confession, that he preached, taught and wrote twenty-six articles having the following content.